New Zealand U-20 women’s coach Gareth Turnbull is looking forward to the challenge of the FIFA U-20 Women’s World Cup in France in August. The assistant coach of the Football Ferns was at the Rennes Opera House in Vannes today as New Zealand was drawn into Group A alongside hosts France, the Netherlands and Ghana in the tournament that will be staged from 5–24 August. “It is a challenging group for sure,” said Turnbull. “But looking at the other groups there aren’t many where I would say that I wish I had that one. Turnbull said playing France – the runners up from the FIFA U-20 World Cup in Papua New Guinea in 2016 – on their home turf on 8 August will be a good test for his side. “They lost the European Finals [UEFA Women’s Under-19 Championship] in the last couple of minutes to Spain [3-2] a few months ago so they will hard to beat. Turnbull said the region of Brittany in the North West of France is well-known for being the football-mad part of the country and should be a great hub for the tournament. “We are excited to come back here in the summer and have some French crazies get in behind the tournament,” he said. New Zealand are in Group A which is based in the main centre and their first two pool games will be in the Main Stadium – Stade de la Rabine in Vannes – where the semi-final and final will be staged. Turnbull said he could sense the excitement levels are already starting to build in France as they count down to hosting the FIFA Women’s World Cup in 2019. 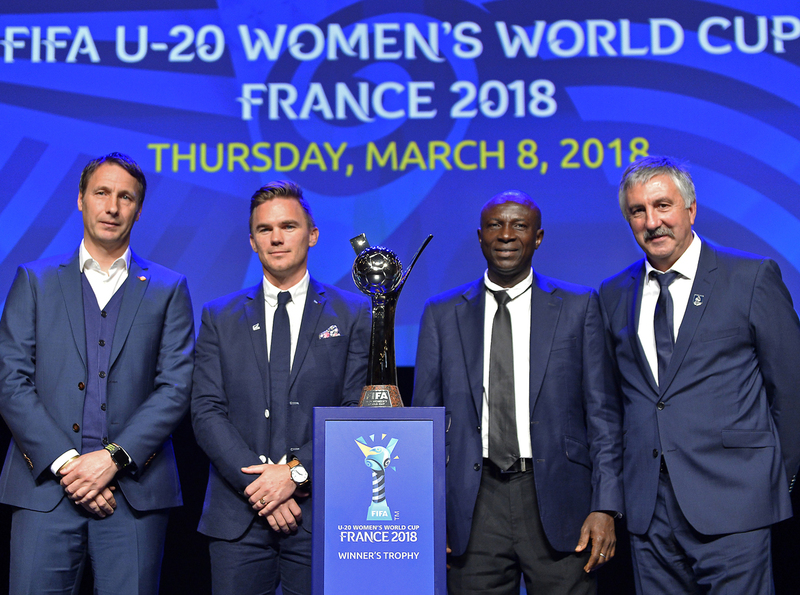 He said the one of the positives about the New Zealand U-20 group is the vast majority will have played in a FIFA Women’s Age Group World Cup and most will have experienced a win. FIFA Chief of Women’s Football Sarai Bareman, former OFC Deputy General Secretary, helped conduct the draw.